A thick beard can be a sign of masculinity and maturity, but many men have difficulty growing full beards due to genetics, injuries, or prior hair removal procedures. 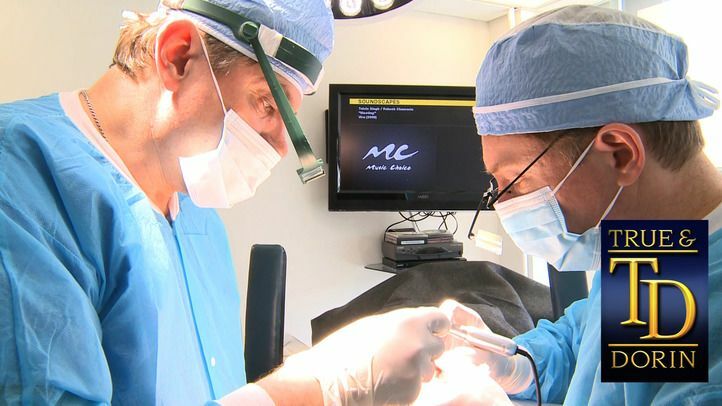 Using innovative hair transplant techniques, Drs. Robert True and Robert Dorin can help you achieve a thicker, more even beard, or can use your beard as donor hair for a head hair transplant. If you have are interested in learning how a beard transplant performed at our New York area practice can boost your confidence, make an appointment with us today. How Does the Beard Transplant Process Work? A beard transplant uses the same technology employed in hair transplants. Our doctors will determine a donor site based on hairs that will best match in color and texture to your beard. The follicular units will first be harvested from this donor site, which is typically the back or side of the scalp. Then the graft will be carefully placed into your facial hair at the proper angle and position to blend in with your beard. The follicle units can be placed anywhere in the beard, mustache, or sideburns to create a fuller look. Depending on the number of hairs needed to achieve your goals, a typical beard transplant procedure can be performed in about 2-5 hours. The recovery period will last for about 7-10 days, ending when the newly transplanted follicle units fall out. After roughly 3 months, the new hairs will start to grow in with the rest of your beard without showing any signs of surgery. Most patients can return to non-strenuous activities the day after the surgery, but there will be swelling and other signs of the procedure for the first 5 days. Who Can Benefit from a Beard Transplant? Anyone who desires thicker, fuller facial hair may be a good candidate for a beard transplant. Men with thinning or uneven patches of growth in their beards who would like a more consistent look to their facial hair could benefit from this procedure. Beard transplants are of special importance to men who have scarring from surgeries, burns, and other trauma. Transplanted hairs can be placed directly into scars to permanently cover and disguise any marks on the face that you would rather keep hidden. A beard transplant can be performed using either thefollicular unit transplantation (FUT) or follicular unit extraction (FUE) method. After consulting with one of our doctors, they will be able to recommend the form of treatment that will be most beneficial for you. Each method has its advantages, and both options can leave you with completely natural-looking results. Beard transplants are also an option for people who want to graft hair to their head, but do not have a sufficient reservoir of head hair. In such cases, hair from the beard is harvested and grafted to the head through an FUE procedure. Learn how our expertise can give you healthier looking facial hair. Schedule a beard transplant consultation with us today.